This game was quite popular when it was first released. Especially since it had quite a hard storyline. Most players did not make it very far without help. Luckily, Konami had a built in code in the game known as the "Konami Code" Which is "Up, Up, Down, Down, Left, Right, Left, Right, B, A, Start" This code gave the players 30 lives to start with, instead of the usual 3. Download and try this, but be warned, it's extremely hard! 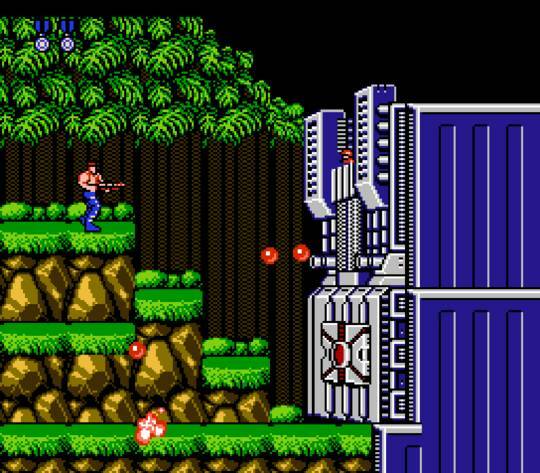 Contra is one of the best games ever made hands down. 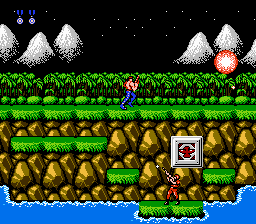 You play as super tough macho dude Bill Rizer(or Lance Bean if you're player 2), and proceed to rush though an island fortress destroying everything that moves. All while avoiding bullets, laser boulders and aliens. The game can be tough at first if you're new to the whole run 'n gun thing, but each death makes you a little better and soon you'll be considering yourself a hero. 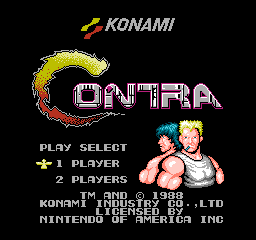 Contra in my opinion, is one of the best shoot'em ups out there, and still probably is. I even despised shooters, and I was still thouroughly content with this game. 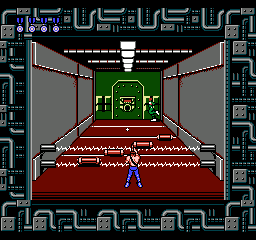 The controls are intuitive, and not difficult to handle, a plus considering the stiffness of other NES games. You can also collect red letter's with wings that give you different guns(My favorite is S :P) and are also allowed to shoot in multiple directions. 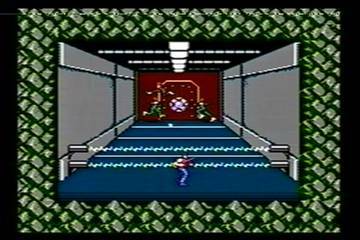 The visuals are also quite detailed, considering it platforms on the NES, and the quality is much like the Castlevania games of the NES. 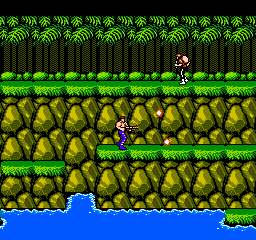 Contra...the original run n gun classic. I honestly thought I'd hate this game. On the CONTRAry, I loved it! The controls are fluid, responsive, simple, and effective. Never had a single problem I'd blame on controls or poor character mechanics. Graphics were actually my favorite part of the game. I loved the bold colors, the crisp, sharp shading and outlines. Level design ideas weren't anything too out of the ordinary, but they were perfect for the setting and I was never bored of the environment. That's probably a factor of both the graphics and the fast pace. 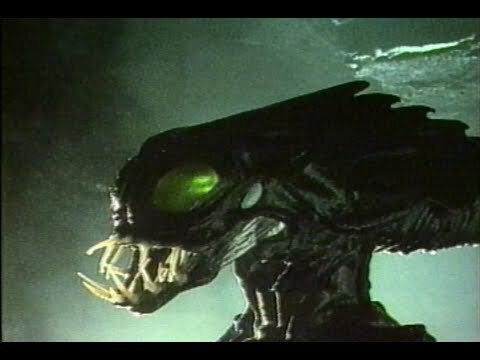 The final boss was fantastic. The BGM and SFX were perfectly on point for the game setting, upbeat and paced right too. 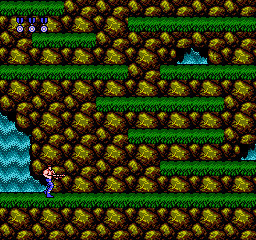 Gameplay is running, jumping, and gunning. Almost 360 shooting radius (with strict angles) on most maps, some destroyable environmental objects, and only a handful of things to slow you down. The pace of the game is def. where the fun is. On alternate maps, the camera moves behind the character and you're locked to left/right/jump movements only as you attack objects/baddies on the far wall until the electric field blocking you drops. I found those to be the most challenging levels but still enjoyed them thoroughly. Overall, this is a must play for any gamer. It does have a higher difficulty level than other games in the broad shooting genre, I feel, but it's more about changing the way you go at it to play fluidly in a gaming generation where everything is pretty ridgid. 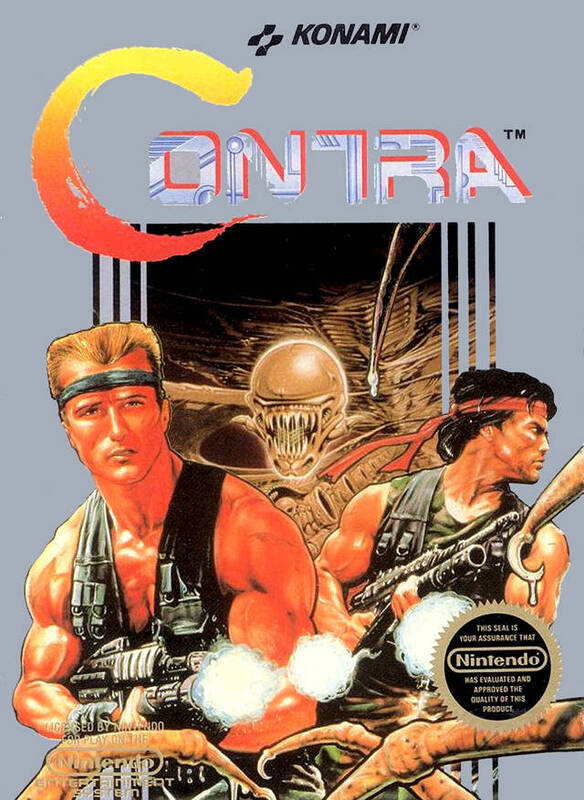 Read all 6 reviews for Contra (USA) Submit your description for this title!